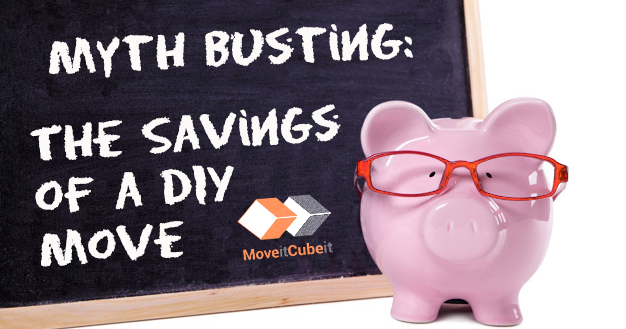 Welcome to Move It Cube It, the smartest and most money saving way to move. If you are shopping for the lowest long distance moving prices, you’ve found a great deal. DIY moving has mainly one advantage, supposedly you can save money. However, as experts in moving families and businesses for fifty years, we know the margins are slimmer than you think. If you’ve never hired professional movers in the past, you might think long distance moving prices are not affordable. This makes sense. However, when you actually compare long distance moving prices to the cost of your out of pocket expenses, you’ll be surprised at how similar these figures are. Plus, when you forgo a pro moving team, it costs you more than just dollar signs. The first thing to consider when evaluating the costs of a diy move is that there are several factors that are included in the price of a pro move. Here are some examples of costs that you will have to pay for if you move without professionals. The beauty of the Move It Cube It cubes, is that they serve to transport as well as to securely store your items. When you are considering long distance moving prices don’t forget to get quotes when you need storage services too. In a DIY move you may have to still contract out these services or invest in a storage shed which can add up quickly. Not only are truck rental prices high, but you also have to consider the cost of fuel, mileage charges, insurance and tolls as well. These are more costs that are embedded into the long distance moving prices you receive from potential professional movers like us. The labor associated with a DIY moving project is nothing short of exhausting. You’ll have to find strong and reliable help to move heavy, bulky and awkward items in your home. While you load and unload items you are assuming the risk of injuring yourself. To make matters worse you may miss time off from work to complete your long distance move. While this labor is a large chunk of your professional long distance moving prices, it’s one of the most important. Another feature that is usually included in long distance moving prices is insurance to cover broken items. In a DIY move, however, whatever breaks is your loss. Typical moving insurance will cover at least partial costs associated with damages or loss that occur during your move. If you are conducting a DIY move make sure you purchase special protective products like TV boxes and tons of paper, bubble wrap, plastic wrap etc to protect your items from damage. For extremely fragile or pricey items, consider purchasing insurance specifically to cover them. Since you are driving the truck yourself, you’ll need to remember that there will be costs associated with your long journey to your new home. Though these are not a part of the long distance moving prices, you will have to find the dough to get you through your travels. In a DIY long distance move you’ll need to set aside money for lodging, food, gasoline, tolls, and more. One of the best intangible benefits included in professional long distance moving prices is the attention to detail. Pro movers have got their routes, routines and execution down to a science. So that means they have thought of many of the parts of the process for you. When you become overwhelmed in a DIY move, you’ll begin to notice all sorts of costly details that add up fast. You’ll begin to realize (right in the peak time during moving day) that you didn’t purchase enough boxes, or plan meals for your family. Now you are heading back to the moving supply store on a hunt and swinging by a restaurant for a family meal. All those little sneaky details will topple your budget quickly. A DIY move costs more than just dollar signs. Moving is no small project and it can eat up a lot of your mental energy. This is not something you’ll want to sacrifice as moving families and individuals are often juggling other responsibilities like a new job or house too. The frustrations that come with a DIY move take an unnecessary toll on your mental state. If you’ve never moved with a professional service before, long distance moving prices may seem steep enough to convince you that a DIY move is the right option for you. However, it is your decision to budget your move to include long distance moving prices. Don’t forget that included in your long distance moving prices are things like equipment, checklists, insurance, and processes to provide a safe and professional experience. The reality is that long distance moving prices from experienced companies are not far off from what it will cost you out of pocket. Don’t forget the time, energy, frustration, and possible injury and breakages that can occur along the way. Why not take a minute to have our professionals answer your question or get a quote for your move? Contact our team. We’re here to answer any questions you may have!